The smallest and most slender of the loons, the Red-throated Loon, is a fish-eating bird that hunts for prey by diving and pursuing its catch underwater sometimes down to 90 feet. In flight can be distinguished by its quicker and deeper wings beats and drooping head. This species is a rare winter bird in Tennessee. Description: Slim snakeline head and neck, thin, slightly upturned bill, pale gray and white spotted underparts, white face and white speckling on back in winter when seen in Tennessee. Rufous throat patch during the breeding season, for which it gets the name. Voice: Generally silent but on breeding ground song a long, gull-like wailing or cry. Pacific Loon – A mostly a dark face with white behind the eye, distinct line of white and black at base of neck, barred back, faint chin strap, thin straight bill. Common Loon – A thicker bill, darker face, faint pale color at neck; broken neck pattern. Double-crested Cormorants – longer necks, blunt tipped bills and no white on throat or chest. 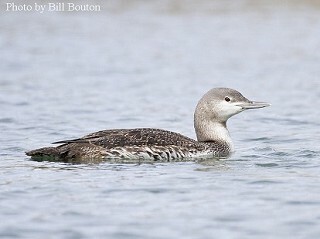 Habitat: In Tennessee, Red-throated Loon can occasionally be found on deep, freshwater lakes. Diet: Feeds primarily on fish. Status in Tennessee: The Red-throated Loon is occasionally found in winter in Tennessee. Unable to walk on land. Red-throated Loon does not carry its young on its back like other Loons. The Red-throated Loon does not need to run on the water's surface on a long takeoff, but can take flight directly. Best places to see in Tennessee: Nickajack Dam, Paris Landing State Park, Big Sandy Unit of Tennessee NWR, Percy Priest Lake, Old Hickory Lake, TVA Lakes, Reelfoot Lake. Barr, Jack F., Christine Eberl and Judith W. Mcintyre. 2000. 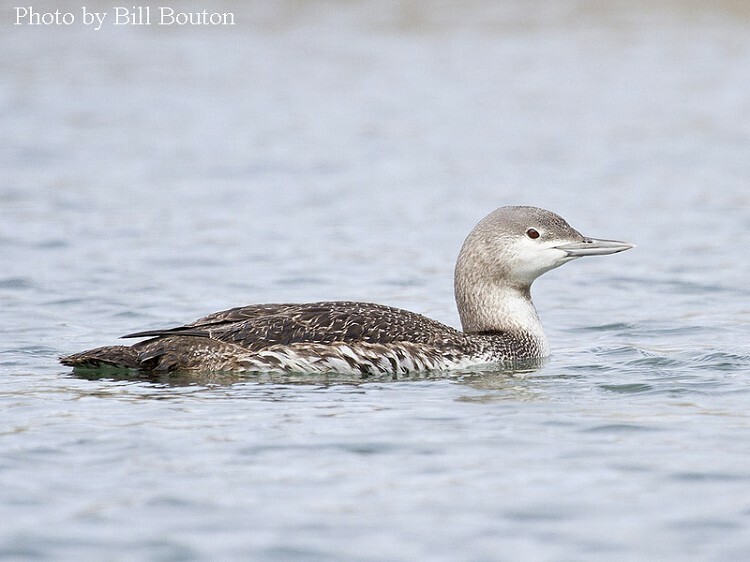 Red-throated Loon (Gavia stellata), The Birds of North America Online (A. Poole, Ed.). Ithaca: Cornell Lab of Ornithology; Retrieved from the Birds of North America Online.